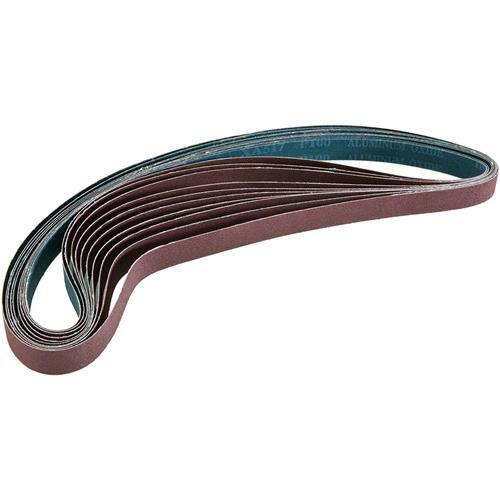 1" x 42" A/O Sanding Belt 100 Grit, 10 pk. Grizzly H3503 - 1" x 42" A/O Sanding Belt 100 Grit, 10 pk. These tough aluminum oxide 100 grit 1" x 42" sanding belts are sized right for all of your belt sanding needs and are sold in a 10 pk. It is impossible to find this size belt in the warehouse giants. Not only is this the perfect fit for the tool I depend on, but it is a great product.